Grow your green fingers at the Succulent Miniscapes™ Workshop by the plant-loving creatives at Lush & Plush! 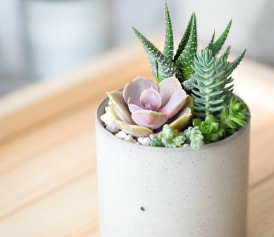 Let your personality shine through as you create your very own succulent miniscape™—an eye-pleasing arrangement of colours and textures delivered through the assembly of your very own succulent pot. Participants can also look forward to pick up tips on how to care for your plants. The workshop will be held at Swing By @ Thomson Plaza, a lifestyle co-retail space that offers bespoke products from over 20 different brands. Similar to the Succulent Miniscapes™ Workshop, Swing By also organises various lifestyle events that caters to different interest groups—including workshops ranging from crochet-knitting to jewellery-making. The store runs on a co-retailing model giving small-scale retailers an avenue for them to showcase their exclusive products at an affordable physical platform.